Certain Roses: Poems 1980 - 2010. Angela Livingstone. Paperback ISBN 978-1-869848-15-6, 129 x 198 mm., 56 pp. £8.50. 2 October 2017. 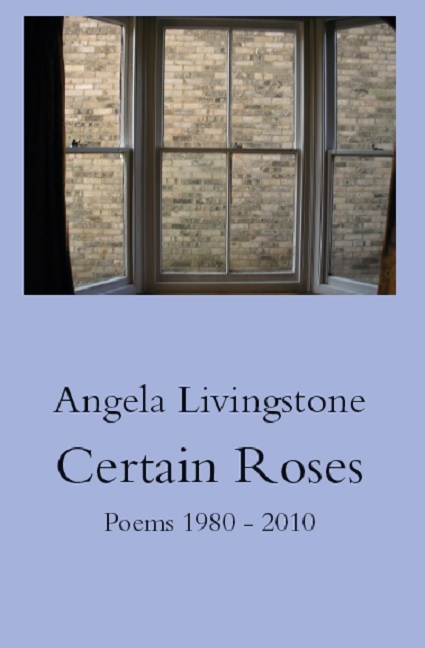 This is the first collection of her own poems by the noted translator Angela Livingstone. The subjects are, in her own words: poetry, language, people, death, places, Nature and things. Angela Livingstone studied Russian and German at Cambridge, taught literature, mainly Russian, at the University of Essex 1966 to 1997 and is now retired. 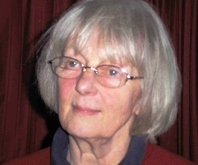 She has lived in Colchester for over 50 years. Pasternak (critical articles) – in collaboration with Donald Davie, Macmillan, London, 1969. Lou Andreas-Salomé, Her Life and Writings, Gordon Fraser, London, 1984. Pasternak, Doctor Zhivago (‘Landmarks of World Literature’),C.U.P., 1989. Art in the Light of Conscience. (Translation of Eight Essays on Poetry by Marina Tsvetaeva.) Bloodaxe Books, 2010. The Ratcatcher, A Lyrical Satire. (Translation of Marina Tsvetaeva’s poem of 2000 lines.) Angel Books, London, 1999. Poems from Chevengur (Transposition into English Verse of 50 passages of Andrei Platonov’s prose), Gilliland Press Clacton, 2004. The Marsh of Gold. Pasternak’s Writings on Inspiration and Creation. Academic Studies Press, Boston. 2008.
pale wings in a rainfall.